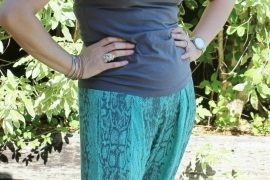 As I’ve discussed before here, understanding how your personality impacts on your clothing and style choices (and how it’s way more important than body shape in so many ways), The personality dressing style that is used the most these days (with the casualisation of the work dress code) and with most of us also having a love of comfort, is the Relaxed personality dressing style. When it’s done well, it looks great. It says that you’re approachable, down-to-earth, ready to get-up-and-go and natural in your personality and approach to life. The clothes fabrics and styles give you ease of movement, the colours don’t shout, the details are minimal and unfussy. When it’s done poorly, it says lazy, sloppy, unkempt, and unaware and it looks like you’ve gotten dressed in the clothes that have been dropped on the floor or pulled out from under the bed. When I think of someone who does the Relaxed dressing style really well, Jennifer Aniston springs to my mind. Why? Because she gets it right over and over. She does Relaxed really well. This is so key – good grooming really makes the biggest difference. When your hair is done and you’ve looked after your grooming (hair, nails, eyebrows, teeth, makeup) you look pulled-together and on-top-of-your game. This is because the first thing that goes when we are sick or tired is usually grooming. Too tired to do your hair. Can’t be bothered to wear any makeup. No time to take off your chipped nail polish. Yes, these things all take a few minutes a day to do (and really, you can do them in a few minutes, it’s not hours of your day). Poor grooming says to the world that you are: lazy, sloppy or possibly sick. Grooming is an important part of self-care – and when you don’t do it, it says you don’t care for yourself. Notice in every photo you see of Jennifer Aniston, she’s always well groomed, but she’s not hairsprayed within an inch of her life, makeup is subtle. She’s still got a casual vibe, it’s just a pulled-together one. A few accessories in every outfit make the biggest difference between looking finished and stylish, and just a bit blah. What you’ll notice if you study Jennifer Aniston’s style, is that she’s always accessorised. A scarf that adds a pop of colour, a necklace, a belt, some glamorous sunnies, a hat and a cute handbag. There are always a few accessories in every outfit. As I always say – accessories are the icing on your sartorial cake – they truly do make a difference to your whole outfit and level of style! What’s on your feet is noticeable. And yes, you may need to wear comfortable shoes for many and varied reasons. But this doesn’t mean they have to be scungy, sloppy or totally unstylish. There are still choices in the comfortable shoe world. Let’s get some tips from Jennifer Aniston on her shoe choices. Notice in the top image that her thongs (that’s what we call a flip-flop in Australia – I’m not referring to underwear) are leather and in good condition, not some scungy pair of rubber ones. See in the middle image that her sneakers are fresh and clean, not beaten up and dirty. See in the bottom image that her sandals are relaxed in their feel, but elevate the outfit as they’re a wedge. There is a big difference between Relaxed style clothes that fit, and the ones that are just that much too big that look sloppy and frumpy. Notice how Jennifer Aniston’s tee can be loose without being baggy or sloppy (ab0ve). Jeans fit rather than being one size too-large – or just stretched out. Jackets fit at the shoulders and through the body. Sometimes getting an alteration to make something fit can make a massive difference to the overall look of an outfit – plus – clothes that fit are more comfortable too! Relaxed and casual style is such a part of the world these days. Yet you can do it well, or can do it poorly. So take some tips from Jennifer Aniston’s style book and make sure you take note of these elements of the style so you look pull-together even in your casual moments. How you put it together with the other personality dressing styles (you can find out about how your personality also influences your choices of colours too here) is going to be different for you than the next person, but understanding what works and why, makes a huge difference to your ability to put outfits together that are stylish and authentic for you. 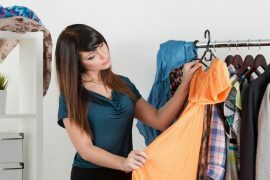 If you’d like to learn more and in-depth about the personality dressing styles – this is Step 1 of my 7 Steps to Style and there is a quiz inside that will help you identify your personality dressing style preferences, why you like them, and dislike others (you know those clothes that you’d just never-ever wear). I’ve discovered from my more than 15 years of image consulting, that personality is the key to understanding and defining your style – and feeling truly at home and right in your clothes. This is why it’s Step 1 of 7 Steps as I believe it’s the most important piece of the style puzzle. 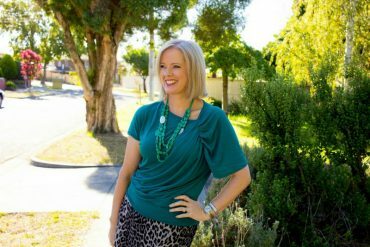 And understanding your style preferences will save you heaps of money as so many of the wardrobe mistakes I see are personality style related! Imogen it was great to read how your broke down her style to the tiny bits . Very insightful. Wonderfull, little details that makes the difference. Wow – what an excellent piece! Excellent examples, and just a few points, but they’re all right on target – easily-done when thought about, but SO important and so often ignored! I’ll definately be more conscious of all these going forward. Thank you for this, as a relaxed style girl I found this article extremely insightful. Jennifer is my style queen as like her I’m a soft summer and she has really nailed the low to medium contrast factor.